New Hall of Fame Inductees! 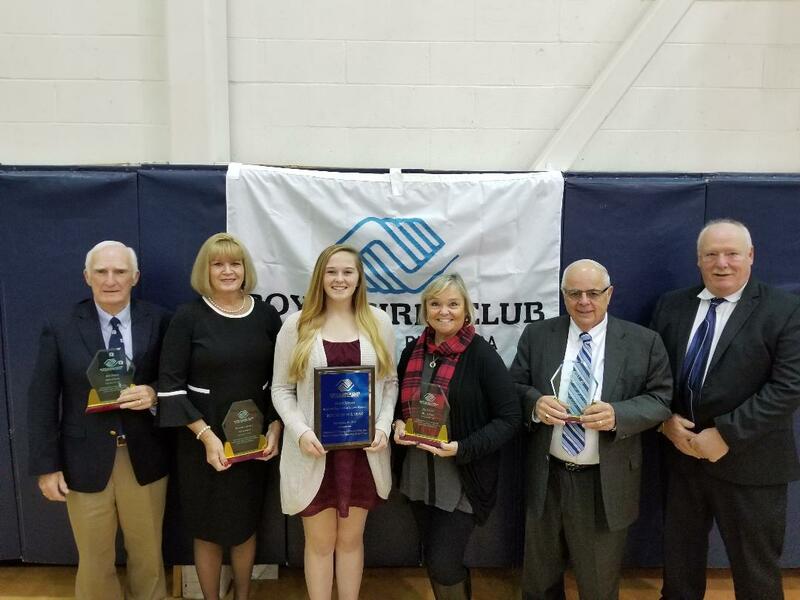 The Boys and Girls Club inducted 4 new members, Bill Greene, Barbara Flaherty, Fred Ciampa and Posthumously, KayMullen, into the Hall Fame recently. Inductees pictured at the ceremony are former State Rep. Bill Greene, Barbara Flaherty, Youth of the Year Emily Morris, Mary Kaye Miln accepting the award for her mother Kay Mullen, Fred Ciampa and Board President Jim O'Connell. Congratulations to these outstanding contributors to the success of our club! © Boys & Girls Clubs of Greater Billerica. All Rights Reserved.